Laying brick is one of the oldest and most respected trades in the construction industry. Masonry construction uses brick, stone, marble, granite, travertine, limestone, cast stone, concrete block, glass block, stucco, and tile. Qualified cement masons are always in demand to place foundations, patios, sidewalks and curbs. 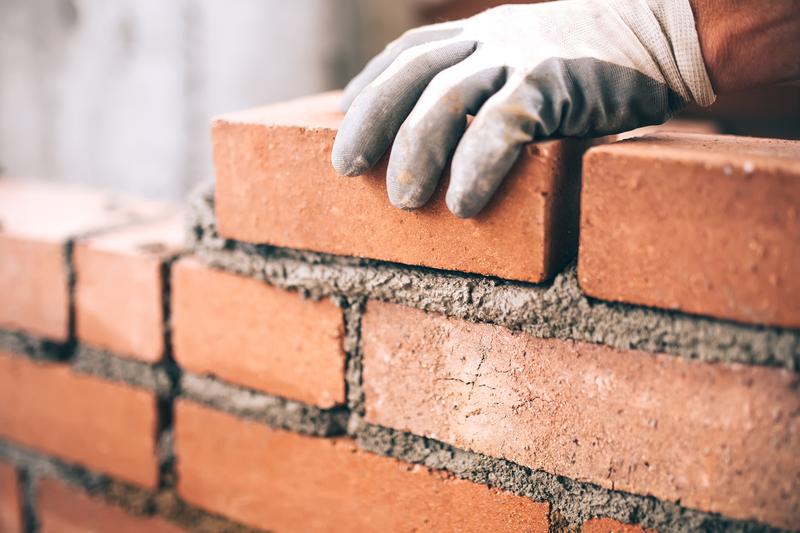 Masonry materials are some of the most common and durable materials used in construction. Brick, block, and stone structures can last for hundreds of years. Concrete—a mixture of cement, sand, gravel, and water—is the foundation for everything from decorative patios and floors to huge dams or miles of roadways. Brickmasons must keep a steady pace while setting bricks all day. Although no individual brick is extremely heavy, the constant lifting can be tiring. Terrazzo workers must be able to distinguish between small variations in color when setting terrazzo patterns in order to produce the best looking finish. Workers must be strong enough to lift more than 50 pounds. They must also carry heavy tools, equipment, and other materials, such as bags of mortar and grout. Workers must be able to apply smooth, even layers of mortar, set bricks, and remove any excess before the mortar hardens. Stonemasons must be able to see how stones fit together in order to build attractive and stable structures. Cement masons use their knowledge of math—including measurement, volume, and mixing proportions—when they mix their own mortar.